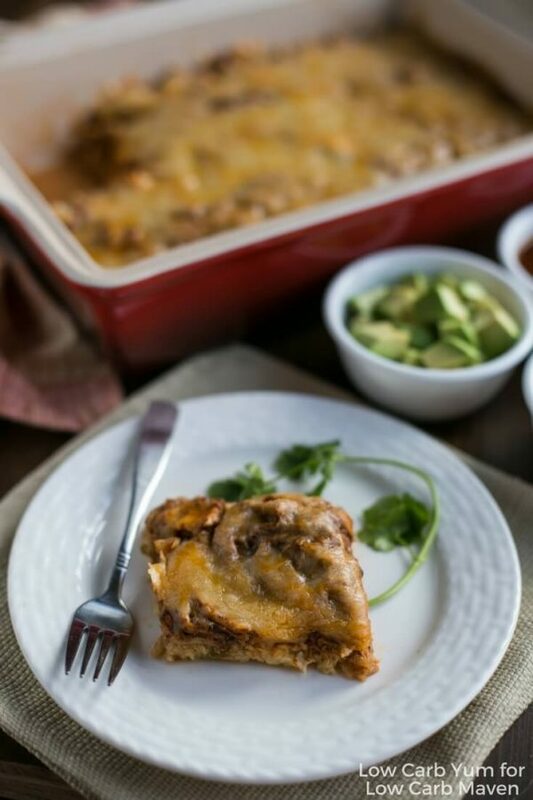 This easy keto low carb Mexican chicken casserole is sure to please the whole family. And, it’s a great way to repurpose leftover poultry and cauliflower rice. 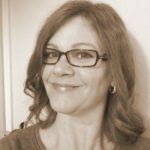 THANK YOU LISA FROM LOW CARB YUM FOR THIS GREAT GUEST POST! I’m a huge fan of casseroles because they are simple to put together and you don’t have to keep an eye on them while they bake. They also make a warm and comforting dinner at the end of a long day. Another thing I love is keto friendly Mexican food. 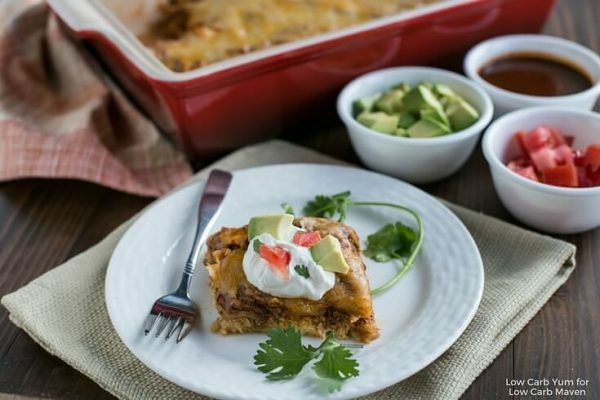 So, I decided to use Kim’s homemade enchilada sauce to make an easy casserole recipe. 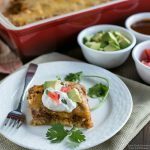 It didn’t take long to make the sauce for this low carb Mexican chicken casserole and can be made ahead. The recipe is so easy. You just have to dump all the ingredients into a pan and let the liquid reduce. I did find the sauce to be a little bitter from the ground chiles, but a few drops of stevia were a quick fix. 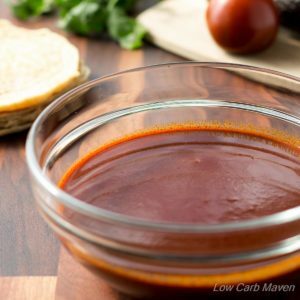 Kim uses an erythritol/stevia blend sweetener in the enchilada sauce, but I prefer using a blend of stevia and monk fruit for the sweetener. My casseroles tend to be very cheesy like my cabbage lasagna and pizza casserole. Cheese adds great flavor and it’s the perfect way to top off a baked dish. 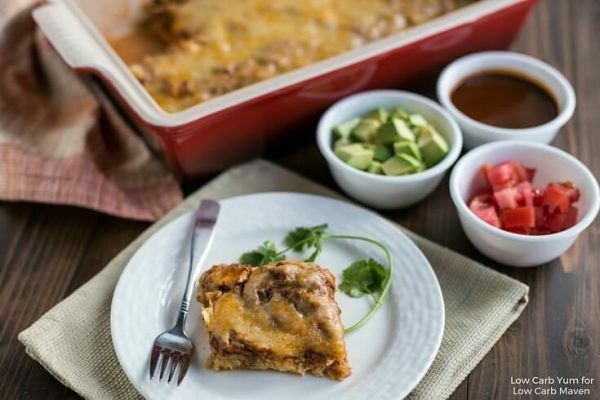 The great thing about this low carb Mexican chicken casserole is that you can make it with leftovers. 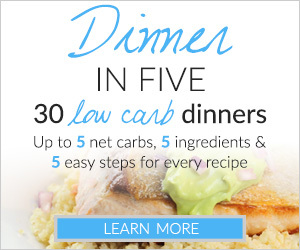 Extra cooked turkey or chicken, enchilada sauce, and or cauliflower rice can be used in the dish. Pre-cooked cauliflower rice is used for the casserole base. It’s then topped with shredded chicken (or turkey) mixed with homemade enchilada sauce and topped with a blend of cheese. I used a Mexican blend of Monterey Jack, Cheddar, Queso Quesadilla, and Asadero cheese. Pepper Jack and Manchego would work well too. Feel free to change up the cheese to suit your taste. 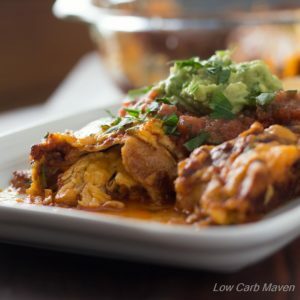 If you are a meal planner, this low carb Mexican chicken casserole is something you’ll want to put at the end of the week to use up leftover cauliflower rice and chicken from an earlier meal. And, it’s a good idea to make a double batch of the enchilada sauce. That way, you’ll have enough to make chicken enchiladas and a casserole. I also like to have extra sauce to pour over each casserole serving. Sour cream, diced tomatoes, and cubed avocado are great optional toppings too! 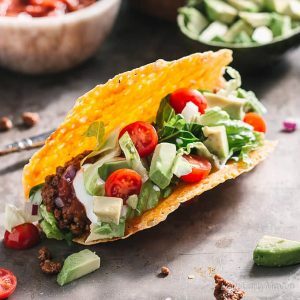 For more great low carb recipes from Lisa, visit Low Carb Yum and follow her on Facebook and Instagram. 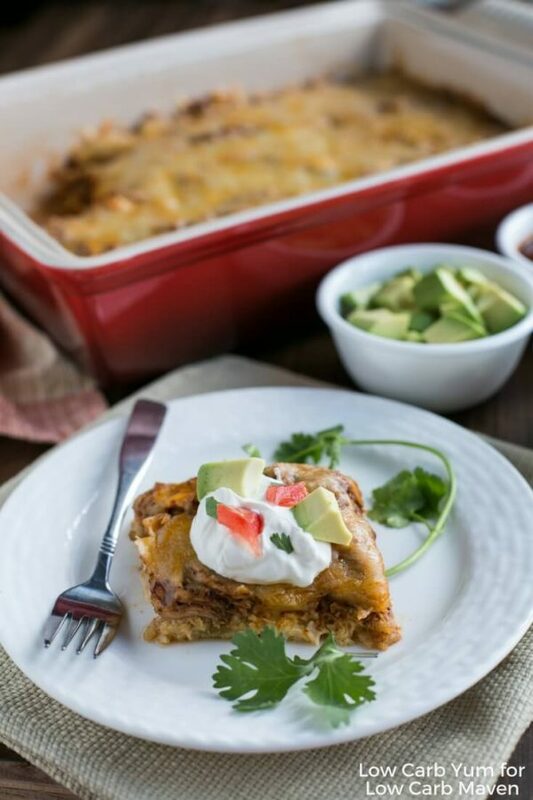 This Low Carb Mexican Casserole is 6 net carbs per serving. 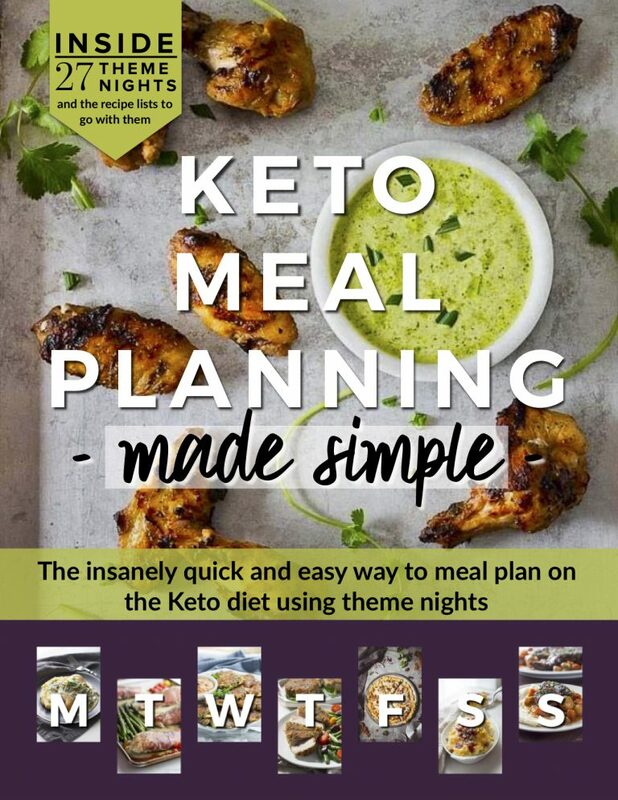 This easy keto low carb Mexican chicken casserole is sure to please the whole family. And, it's a great way to repurpose leftover poultry and cauliflower rice. Preheat oven to 400°F and grease casserole pan (I used a 7.5x11-inch) with coconut oil or spray. Shred the chicken and have the remaining ingredients ready. In large bowl, combine cauliflower rice, 3/4 cup of the shredded cheese, egg, green chiles, cumin and salt. Press cauliflower rice mixture into the bottom of a casserole dish. Bake for 20-25 minutes or until edges have browned. In medium bowl, combine the shredded meat and enchilada sauce. Spread over baked cauliflower rice mixture. Sprinkle remaining 1 3/4 cups shredded cheese on top. Return pan to oven and bake for 5-10 minutes until the cheese has melted. Cool slightly before serving. Top with optional toppings as desired. Serves 8. Just made this yesterday and it is another winner! The only adjustment I will make in the future is to eliminate the green chiles – I have really tried to like them but just do not like the texture and the taste. Other than that, I will keep this as is going forward. Thanks again for another great recipe! Just a quick note to buying all the pre=shredded cheeses – they used extra preservatives to keep the cheese from sticking to itself and forming a big lump in the package. If you are wanting to keep as much as “natural” then you would be better off shredding your own cheese from a block. 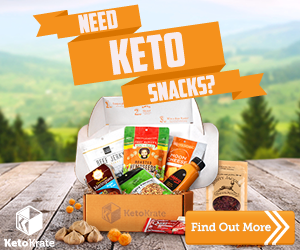 Yes, takes a little more time but not all the extra preservatives. If you didn’t already know this, just thought you’d like to k now. Hi – not a big deal, but I the amounts of cheese don’t add up to 2 c, they add up to 2.5 c. Are we supposed to only add 1/4 c to the cauliflower or only 1 1/4c to the chicken mixture? I’m always ok with more cheese, but thought I’d ask. This looks delicious (and smells great – it’s in the oven now!). This was really good. We didn’t have cumin so we used Trader Joe’s child and lime seasoning. I also added jalapeños in the califlower. Would make this again for sure!! This looks great! I love easy casseroles and can’t wait to try it.